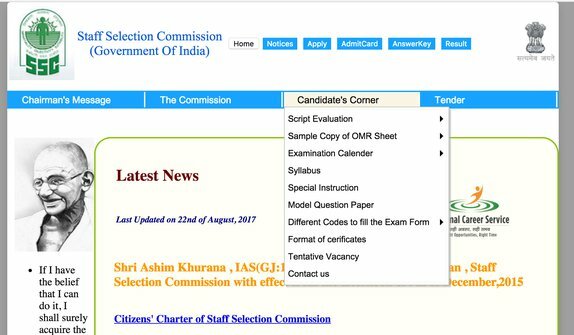 The Staff Selection Commission (SSC) has released an official notification today on August 22, 2017 declaring that there are no cases of paper leak taking place this year as yet. The notification further said that the alleged report of a local newspaper in Jaipur is false. “The commission, till date, has registered criminal cases against three candidates indulging in exam related malpractices viz. two cases of impersonation and one case of cheating (and not leakage of paper as reported by one local newspaper in Jaipur),” notified the release issued by Under Secretary of SSC. The SSC CGL 2017 prelims examination began on August 5 this year which will be concluded on August 23. A total of 30,26,599 candidates registered for the examination this year, of which 14, 02, 331 candidates have already taken the examination as of now.